The MagnetoSpeed Sporter chronograph kit was designed to be used on barrels from 1/2 inch up to 1 inch in diameter. In can also accommodate muzzle brakes, flash hiders, etc, up to 2.7 inches in length. Ideal for contoured rifle barrels (sporter barrels). MagnetoSpeed Sporter features: Simple, one-button cycling display (shows recent shot velocity and statistics, plug in to turn on) Battery : 9-Volt (included) Easy access battery compartment, no need for screwdriver to swap batteries Three sensitivity settings for fine-tuning Integral, quick-attach strapping system; with metal buckle and triad thumb nut Proven technology with updated sensor design Integral 3.5 foot sensor cord Kit includes: Display Unit Bayonet-style sensor (Bayo) Thick and thin rubber V-block spacers Heavy duty strap with thumb nut tightener Ultra-compact storage container. 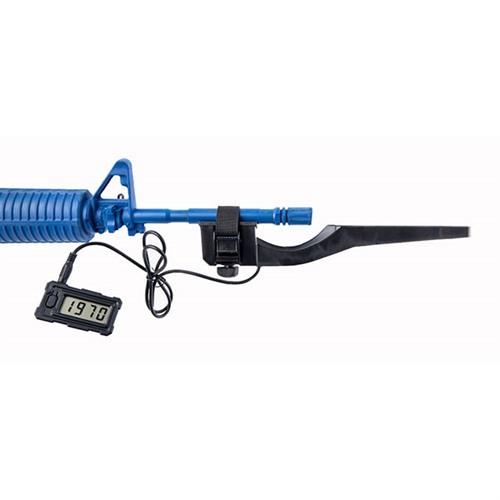 MagnetoSpeed Sporter Хронограф набор был разработан для использования на бочки от 1/2 дюйма до 1 дюйма в диаметре. В можно также разместить морда тормозов, flash hiders и т.д., вплоть до 2.7 дюймов в длину. Идеально подходит для фасонной винтовка баррелей (sporter баррелей). MagnetoSpeed Sporter особенности: простой, одной кнопкой Велоспорт дисплей (показывает последние выстрел скорости и статистики, подключите включите) Батарея: 9 вольт (включено) легкий доступ батарейного отсека, нет необходимости в отвертку для замены батареи три настройки чувствительности для точной настройки интеграл, быстро присоединения системы обвязки; с металлической пряжкой и триады гайка пальца проверенная технология с обновленный датчик дизайн неотъемлемой 3,5 футов кабель датчика комплект включает в себя: блок дисплея штык стиль датчик (Байо) толстые и тонкие V-блок распорки Сверхмощный ремешок с пальца гайка tightener ультра-компактные контейнер для хранения. Compact, easy to understand instructions and lightweight. Took it right out of the box and started using it. I do a lot of reloading for many different caliber rifles. Easy to swap from one gun to another. Yes I would recommend it. I have one of the old style chronographs. This is a much easier and faster system. I used it the same day I recieved it to chrono my 375 H&H and 2 ar's. Worked great. The only problem is I can't figure out how to use it in my semi auto pistols. I don't think it woul like to be banged around on the slide. I've been wanting a Magnetospeed since they came out. I love the idea of not having to go forward of the firing line at a range, not having to worry about how low in the sky the sun is (I've missed many shots on my optical chrono late in the afternoon/evening), and not having to mess with a tripod and going back and forth to make sure I have a chrono set up properly. The Magnetospeed delivers in all these areas! It is also extremely accurate, based on bullet drops. The lower-priced Sported model is what pushed me over the edge to buy. The feature set is reduced vs the V3, but it still does what I want. The one thing I was concerned about was the possibility of the barrel-mounted device adversely affecting how my rifles shoot. Various online forums suggested a small POI change, and little or no adverse impact on group size. I would characterize my experience somewhat differently. The first rifle I tested the unit on was a Ruger Hawkeye Predator in 6.5 Creedmoor. This is a very precise rifle, showing me ~1/2-MOA 3-shot groups with loads or ammo it likes. POI change on this rifle was 2.8 mils! I did not shoot enough to say with certainty whether group sizes were significantly changed or not. Next, I put it on a Browning BLR. This rifle's scope is regulated in minutes, and its POI moved 9 minutes. The M1's POI only moved roughly 4 minutes, so it was still on-target, but that's still quite a move, as far as I'm concerned. The other two rifles were off-target completely. My 204 was pushed off-target, too, but I did not dial the scope to see how far. I also have a heavy-barreled 308 autoloader, and its POI moved only a couple MOA. That's tolerable, but with only a few shots I can't report whether the larger group was due to the chrono or not. In summary, this is a great chronograph for accuracy and convenience of setup. However, at least with hunting-type rifles, one cannot do load development or sight-in work with the chrono mounted. Sadly, this is a significant obstacle for me, so I think I will have to go back to an optical chrono. I gave it four stars, because I only wanted to chrony loads for my precision long range rifles. Who knows about the other possibilities. After getting it finally adjusted right I was happy with the results. Simple, cheap. I need to still figure out the digital watch menu, but that will take until tomorrow. Bigger case and sturdier would be nice. This is my second chronograph but first Magnetospeed chronograph. Fairly new to the PRS scene and kept hearing the pros talk about using a Magnetospeed. Truly amazing and accurate. 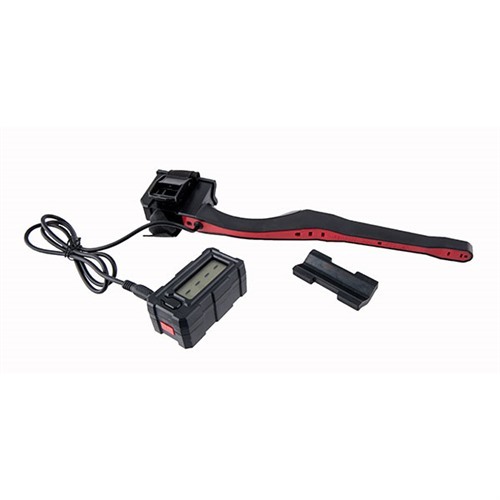 The Sportster is both easy to use, accurate and dependable. More than what I expected! My loads are more consistent and shot groups are placed where I want them. Thoroughly impressed with my purchase and will definitely recommend to others! Sporter Chronograph 855036004054 MagnetoSpeed Sporter Хронограф набор был разработан для использования на бочки от 1/2 дюйма до 1 дюйма в диаметре. В можно также разместить морда тормозов, flash hiders и т.д., вплоть до 2.7 дюймов в длину. Идеально подходит для фасонной винтовка баррелей (sporter баррелей) и Лонг бочковая револьверы. MagnetoSpeed Sporter особенности: простой, одной кнопкой Велоспорт дисплей (показывает последние выстрел скорости и статистики, подключите включите) Батарея: 9 вольт (включено) легкий доступ батарейного отсека, нет необходимости в отвертку для замены батареи три настройки чувствительности для тонкой настройки интеграл, быстро прикрепления обвязки системы; с металлической пряжкой и триады гайка пальца проверенная технология с обновленный датчик дизайн неотъемлемой 3,5 футов кабель датчика комплект включает в себя: блок дисплея штык стиль датчик (Байо) толстые и тонкие V-блок распорки Сверхмощный ремешок с пальца гайка tightener ультра-компактный накопитель. 19500 RUB 77 19 500,00руб. * 23 605,63руб. 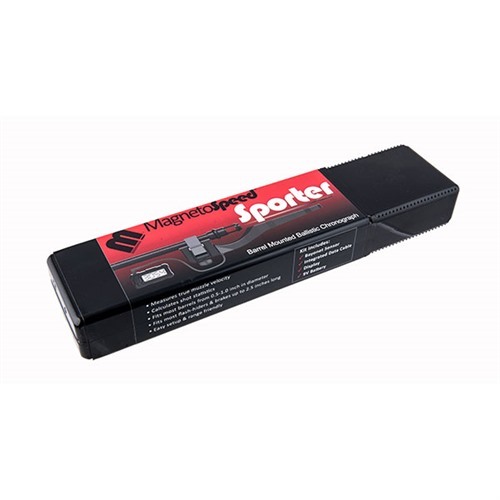 MagnetoSpeed Sporter Хронограф набор был разработан для использования на бочки от 1/2 дюйма до 1 дюйма в диаметре. В можно также разместить морда тормозов, flash hiders и т.д., вплоть до 2.7 дюймов в длину. Идеально подходит для фасонной винтовка баррелей (sporter баррелей) и Лонг бочковая револьверы. MagnetoSpeed Sporter особенности: простой, одной кнопкой Велоспорт дисплей (показывает последние выстрел скорости и статистики, подключите включите) Батарея: 9 вольт (включено) легкий доступ батарейного отсека, нет необходимости в отвертку для замены батареи три настройки чувствительности для тонкой настройки интеграл, быстро прикрепления обвязки системы; с металлической пряжкой и триады гайка пальца проверенная технология с обновленный датчик дизайн неотъемлемой 3,5 футов кабель датчика комплект включает в себя: блок дисплея штык стиль датчик (Байо) толстые и тонкие V-блок распорки Сверхмощный ремешок с пальца гайка tightener ультра-компактный накопитель.